"We were so lucky to find this place!" That is what we hear all the time from our Elopement and Small Wedding couples. So you have decided to skip the expense and stress of a big wedding. You want to elope, or have just a family-sized small wedding. But you still want it to be sort of perfect, and to create great memories. And mountain scenery would be great! The key thing is picking the place. But is there an unforgettable place that you can afford? Yes, there is, if you can schedule around our big Friday/Saturday weddings. 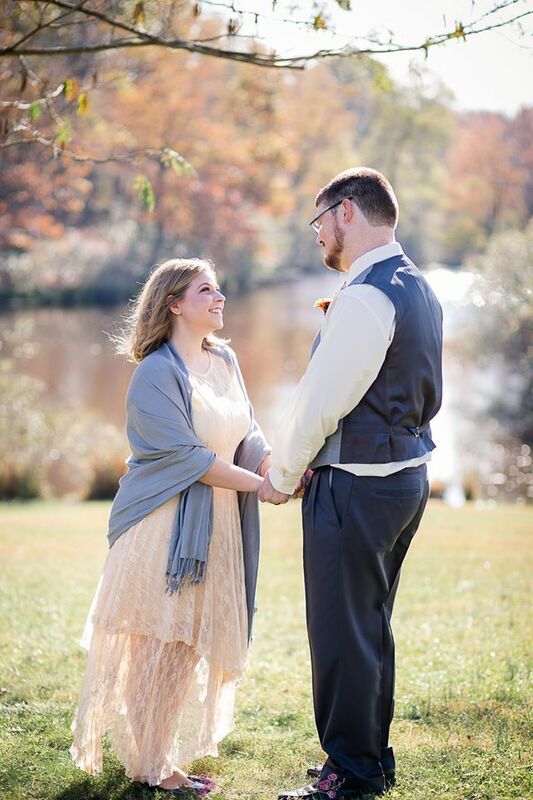 From mid-March to mid-November, Wolftrap Farm is almost always fully booked for our Friday/Saturday full-sized weddings. Outside of that "season", and on many Sundays and week-days throughout the year, we can host your elopement or family-sized wedding at this unforgettable venue at a price you can afford. You just book one of our cottages (the Pond House, Milker's Cottage, Barn Apartment or Servants' Cottage), pay for your lodging, plus $500 for your Elopement Package (see details below). We handle your booking by email. We take all kinds of credit cards, and you pay nothing until your arrival. Here are the details of our offer: Basic Elopement Package - $500, plus your Lodging Costs. One night in the Pond House or Milker's Cottage on a Sunday or week-night is $220 plus tax, the Barn Apartment is $200 and the Servants' Cottage is $150 on those nights. So your elopement package total can be as reasonable as $660.95 (including the tax). The most popular cottage for elopements is the Pond House, and most people like to spend two or three nights (third night half price). 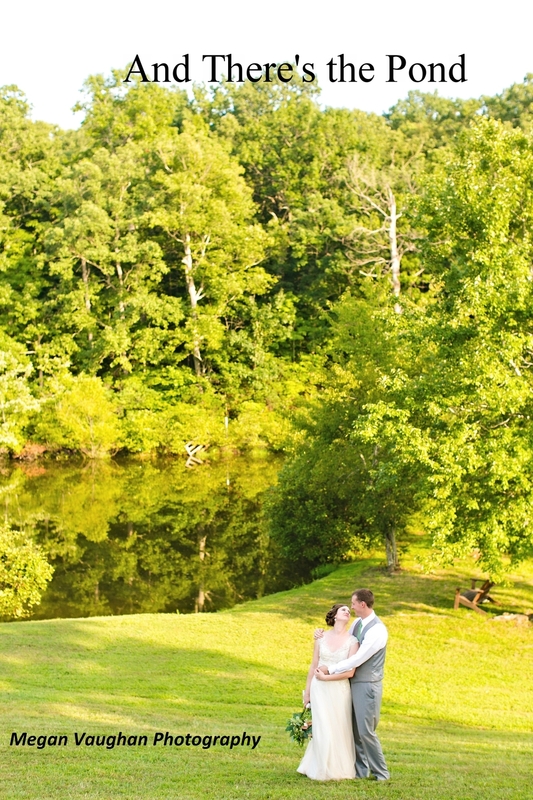 A three week-night package at the Pond House, including your elopement services, comes to $1,090.15, including the tax. (There is an Availability Calendar on this website, and you can explore the features of each cottage on other pages of this website.) NOTE: When winter rates are in effect, your lodging is 30% off the standard rate. See the Availability Calendar to check when winter rates are in effect. A member of our staff to assist with your ceremony and take digital pictures for you. Premade Breakfast Quiche or Breakfast groceries for you to fix, whichever you choose. The PRIVACY of whichever cottage you have booked for the night or for a longer stay. (Make all the noise you want, wear what you want, eat or drink what you want - No One Will Hear You Or See You!) 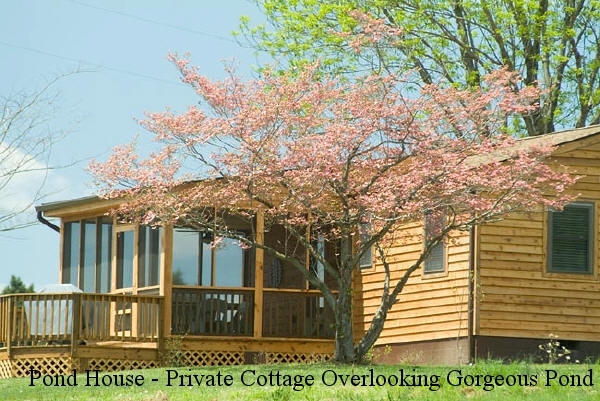 Each Cottage features a screened porch or covered patio with fabulous views for outside meals, wine sipping, or cuddling in the dark. Beautiful scenery, fire pit and fire wood at your cottage, horses to pet, forests paths, ponds to fish in; Game Barn for pool, ping pong, air hockey and other games. No extra charge if up to a dozen family and friends show up. (If you bring more than 12, there is a $10/person additional charge.) You can even bring your dog. 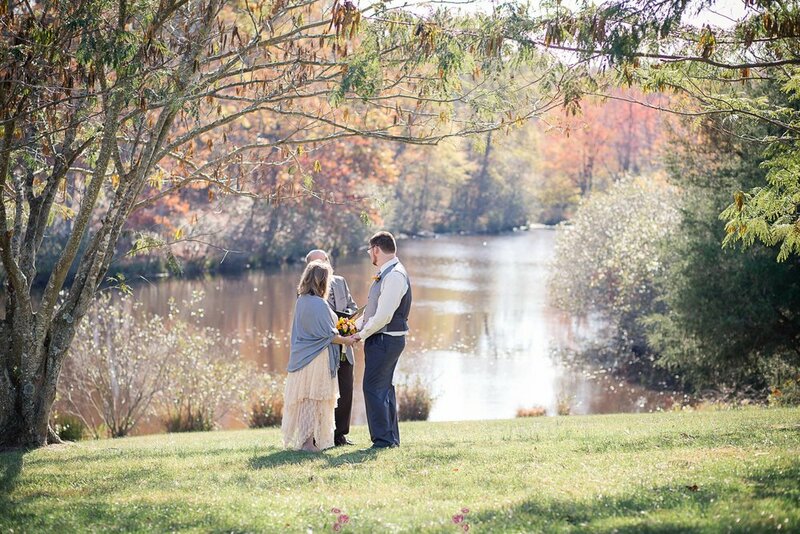 If you want to provide your own Officiant, we can adjust the price. If you want some of your family to stay for a day or two, you or they can book another house or cottage on the farm. Some families book the entire farm (7 houses, accommodating close to 60 people) for a few days during the week and have a vacation/destination wedding with just the extended families. If it grows into an even larger wedding, the Sunday and week-day rates for our Pavilions are very reasonable. If your plans are for a somewhat larger group to join you and you want to arrange for a small reception, let us know and we will help you plan that on a case by case basis. It depends on the size of your group, the time of year, and what spaces we have available. The deck of our new Black Meadow Pavilion is just the right size for a reception for 20 to 50 people. Getting to the farm is easy. We are 25 minutes from Charlottesville, and just 5 minutes from Orange and from Gordonsville, where you will find all the modern amenities. You can have a nice dinner in one of our many great local restaurants or grill something up at your cottage. You can visit your choice of a half dozen nearby wineries, go horseback riding at a neighbor's farm, or spend a day at nearby Monticello or Montpelier. You can use our "Game Barn" for a game of pool, ping pong, air hockey or corn hole. You can fish, pet horses, and hike all over this huge farm. 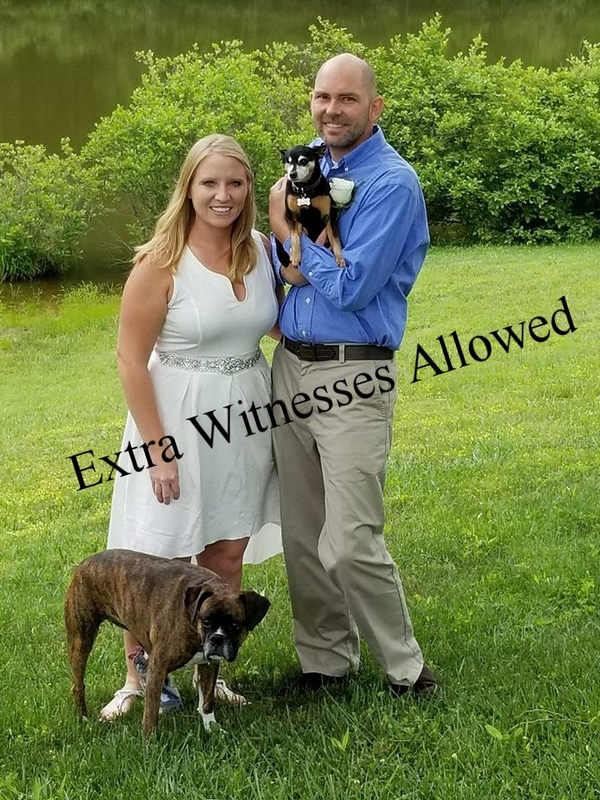 Email us from the Contact Us page on this website, or call us at 540-832-1803 to discuss how we can help you with your elopement or small wedding.